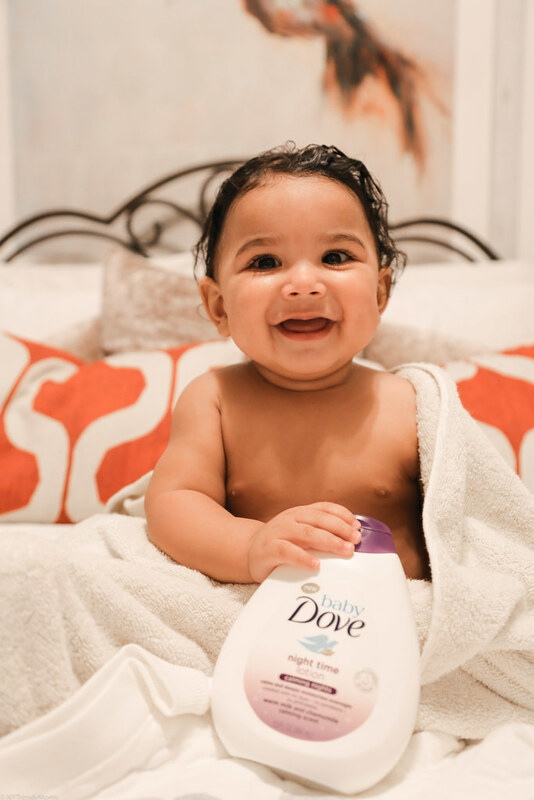 Baby Dove recently sent over their new Dove Calming Nights Collection and it couldn’t have arrived at a better time. Since James is teething, getting him to fall asleep is a real challenge. We all know how amazing it can be to take a warm bath right before bed. It helps release stress and get your body ready for rest. This is the same for babies. 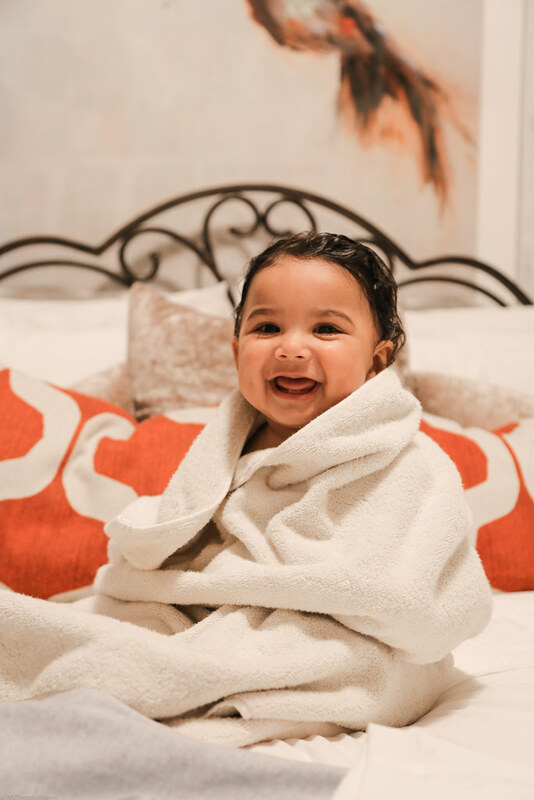 Along with the new collection they also sent over some routines that may help James get a better sleep and I wanted to share with all you moms who might be going through some sleepless nights. Step one is choosing the right products. 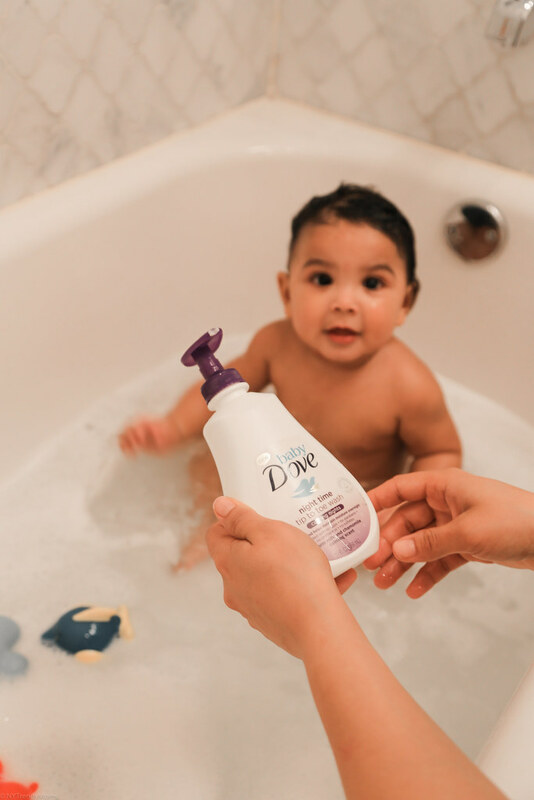 A nightly routine of warm bath with NEW Baby Dove Calming Night Tip to Toe Wash followed by a gentle massage with the NEW baby Dove Calming Nights Baby Lotion can help facilitate more restful sleep. 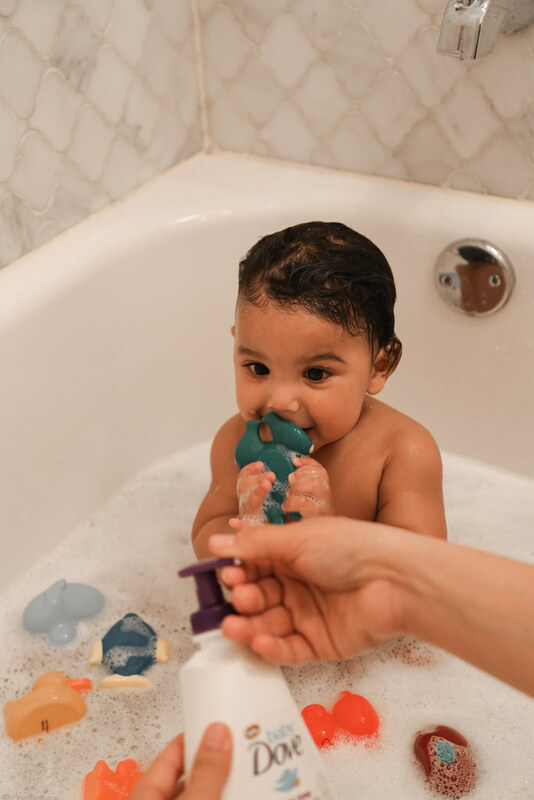 Baby massages have added benefits for your baby, including improving weight gain, aiding digestion, improving circulation and easing teething pain. Plus, it’s a great way to relax together before bed. Start by firmly but gently, rubbing your fingers across baby’s belly and chest. Use both hands and follow baby’s rib cage in the shape of a heart. Gently roll your hands up and down baby’s arms and legs- moving from shoulder to wrist, ankle to hip. Finish with a light back rub. Stroke baby’s back from side to side, then up and down. After birth, babies are comforted by familiar sensory experiences- whether it’s a familiar sound, taste or smell. 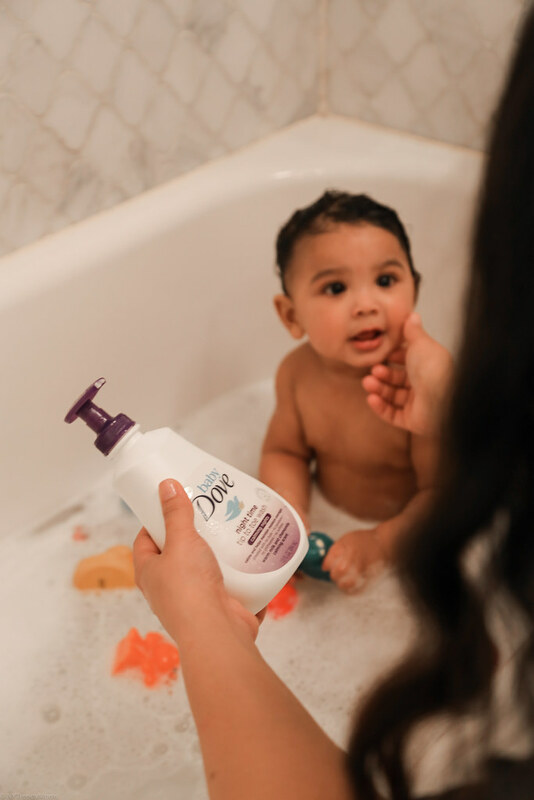 The New Baby Dove Calming Nights Collection has a very calming and familiar scents such as warm milk and chamomile. I can see how amazing this feels to him by his adorable face expressions. Another thing I like to do before bed is sing to baby James or simple have a teddy sing a lullaby. One product that can do much more is the Hatch Baby Rest. It's a sound machine, a night light and a time-to-rise. It's one of the best baby products I have ever come across and highly recommend it to new parents. No matter how challenging it may be to get your baby to sleep, your way is the best for your baby. I hope these steps help your baby sleep better.